We offer you a large online catalog of the best in organic, traditional, and macrobiotic foods, including miso, seaweeds, green tea, soba noodles, wasabi and many other products. In addition we offer up to date health information and scientific studies on many of the products we carry. So you can Learn, Shop, and Be Healthy, with Great Eastern Sun! You will love this Shiitake Mushroom Veggie Stir-Fry made with our delicious Emperor's Kitchen Organic Shiitake Mushrooms.This recipe is simple to prepare and filled with all those unique umami flavors from our Emperor's Kitchen line of USDA Organic Asian Condiments including our Emperor's Kitchen Organic Chopped Ginger, Emperor's Kitchen Organic Garlic, Emperor's Kitchen Organic Toasted Sesame Oil and Emperor's Kitchen Organic Kuzu. 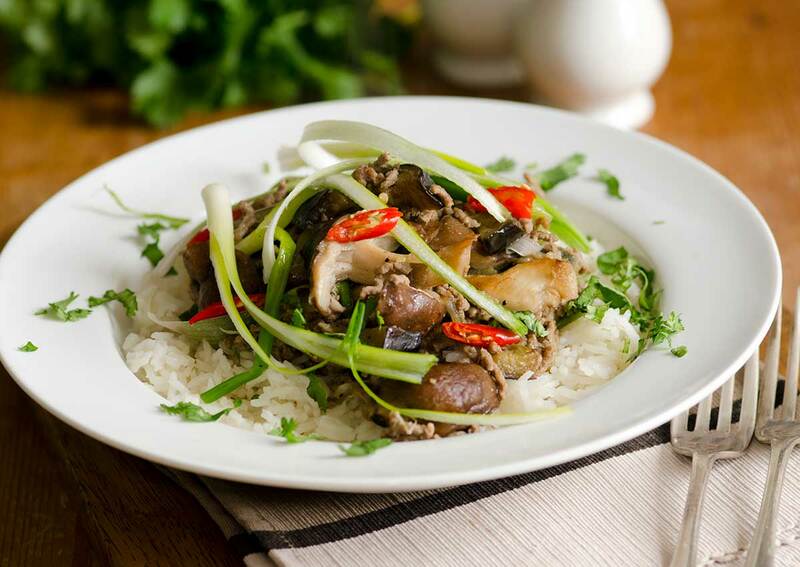 Emperor’s Kitchen Organic Dried Whole Shiitake Mushroomsare grown in Qingyuan County in a remote area of Zhejiang Province to strict Chinese Government Organic Standards. 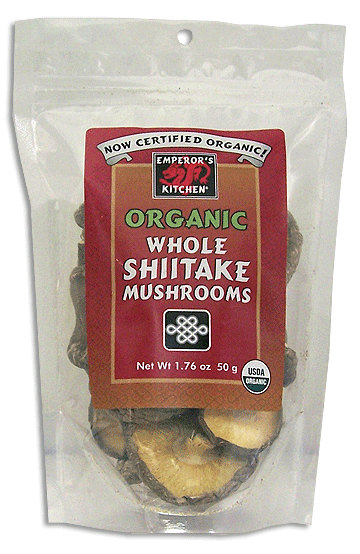 Enjoy the unique umamiflavor of shiitake mushrooms in your favorite vegetable stir-fry, sauces, gravies, vegetable stocks for soups and stews and add to your Sunday morning scrambled tofu. We love to add them to our daily Miso Master Miso soup! The unique fragrance and deliciously nutty flavor of Emperor’s Kitchen Organic Toasted Sesame Oiladds a new dimension to stir fries, salad dressings, marinades, sauces, and baked dishes. The labor-intensive traditional process of making our sesame oil results in a fresh toasted flavor and silky texture, with none of the harsh overtones of the chemical processing often used by commercial producers.